Voice-over Internet protocol is something that has changed the face of communications within the business organizations. A comfortable budget and reliable communication are all that a business requires, so resorting to VoIP phone system is certainly the best decision ever to make your business processing faster and efficient. The features offered by this are incredible and undoubtedly it has given wonderful results in the communication sector. Now with this new era of communication technology, you can even make calls without any phone set. So you don’t have to employ those ancient telephone sets that required a huge set of wires to establish a connection. This cost-effective and flexible solution has made many big companies and organizations adopt this technology as it offers numerous benefits to make the business processing easier. Most of the businesses have already integrated VoIP and are successfully running their business without any communication glitch. But some of the medium and small sized organizations are still deprived of this technology and are thus lagging behind. Business VoIP service is essential for every firm to stay ahead in this techno era. Some of the rich features employed in VoIP includes is integration with various communication tools thus making your business scalable and flexible according to the rising demands of your business. Features such as voicemail to email, auto attendant, integration with the desktop can convert your conversations into a higher level. In addition to this, you don’t have to invest on the extensive cables, circuits or wires thus it saves your bucks and makes the calling more effective and simpler. VoIP makes calls over the internet instead of using dedicated cables and jacks. To improve and enhance the connectivity and processing within your organization, using VoIP is an intelligent step in moving forward with the ever-evolving technological trends. Just imagine how easier it would be to annex new lines into your business and increase the infrastructure of your communication system. Thus employing VoIP business phone will make your business more competitive and proves to be an efficient technology that accelerates your business functioning. 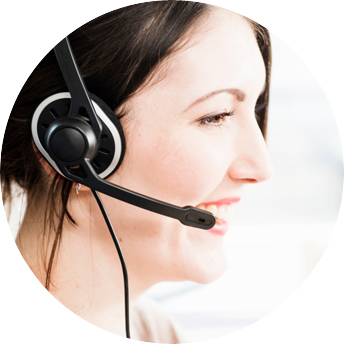 The installation process is also very simple and you don’t need to use extra cables and wires for the telephone system.